In August 2017, AstraZeneca sponsored a roundtable debate on the topic of secondary prevention of recurrent atherothrombotic events. Nick Hartshorne-Evans took part as a member of the multi-perspective panel charged with building authority and thought leadership on this topic. As a successful entrepreneur and business owner, Nick Hartshorne-Evans was diagnosed with heart failure in January 2010 at 39. His experience as a patient stimulated him into developing the only dedicated patient led Heart Failure charity in the UK the Pumping Marvellous Foundation. 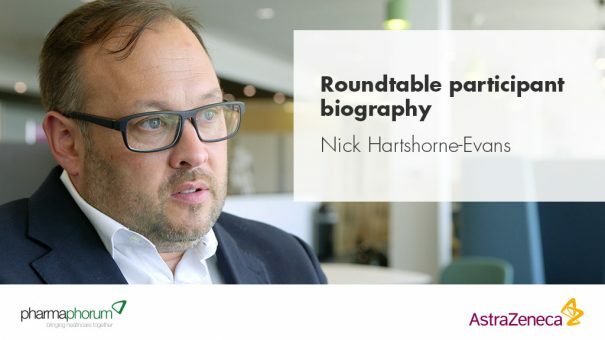 After significant learning about not only the condition but also the health economy, Nick narrowed his focus to developing and evolving a charity that delivered patient-led solutions developed by the patients themselves. The Pumping Marvellous Foundation manages the world’s largest online community of heart failure patients through their innovative and rich data communities on Facebook. Nick regularly engages and involves himself in both Global, European, National and Regional patient advocacy along with delivering patient led collaborative solutions at a local level.